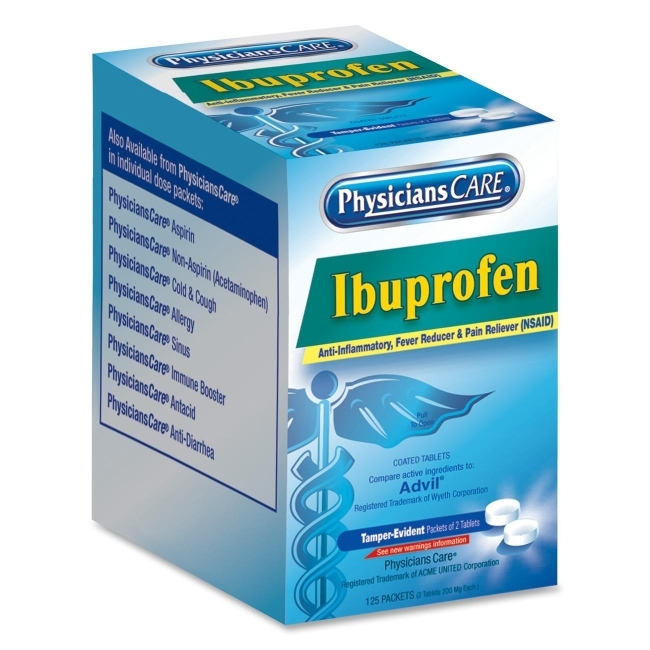 Ibuprofen contains the same active ingredients as the leading national brands and is an anti-inflammatory, fever reducer and pain reliever. Medication temporarily relieves headache, muscular aches, toothache, minor pain of arthritis, backache, and menstrual cramps. Coated, easy-to-swallow tablets are packed in a perforated dispenser box to allow easy access. Individual dose packets are tamper-evident.